Players will be distributing the teddy bears and plush toys this week at the hospital and at two senior care residences. You would think that the news story coming out of Friday’s game would be the Teddy Bear Toss goal or the 10-1 Storm victory over the Generals. Instead it was the player ejections and penalties, over 340 minutes in total. The game was more reminiscent of the Storm games of old than what the fans have seen in recent years. With the Storm leading 7-1 in the third period, the game deteriorated into a melee and by the end of the night the Storm bench was down to one line and three extra skaters. Max Daerendinger was the player that stood out on Friday. He was named first star with 2 goals and 2 assists. Other Storm goals came from Kobe Oishi (2), Dylan McCann, Pearce Messer, Greg Brydon, Colin Blake and Mitchell Williams. Goalie Chris Smith was another standout, turning aside 34 of 35 shots. Campbell River’s injury woes continue. Oishi joins key players Carter Hikichi, Aaron Brewer and Dawson Frank sidelined with undisclosed ailments. Oishi and Hikichi could be out until after Christmas. 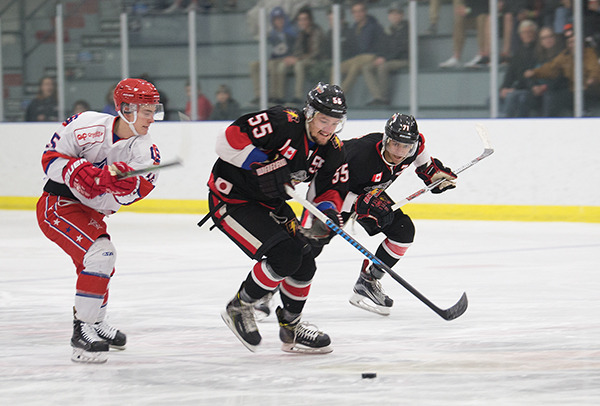 Much like the week before, the Storm met fierce opposition from the Glacier Kings down in Courtenay on Saturday night. As good as Marcus Gloss was in their previous meeting, he was even better in this one backstopping the G-Kings to a 4-1 victory. Mitchell Williams scored the lone Campbell River goal. It was another frustrating game for the Storm that saw more of their players ejected. Blake was tossed in the third period after discussions he had with on-ice officials about an incident in which he felt that he had been hit from behind into the boards. Campbell River Head Coach Lee Stone was also ejected at the same time. For Stone, it was his second ejection in two days. Associate Coach Mike Wilson will be managing the bench for the next two games. 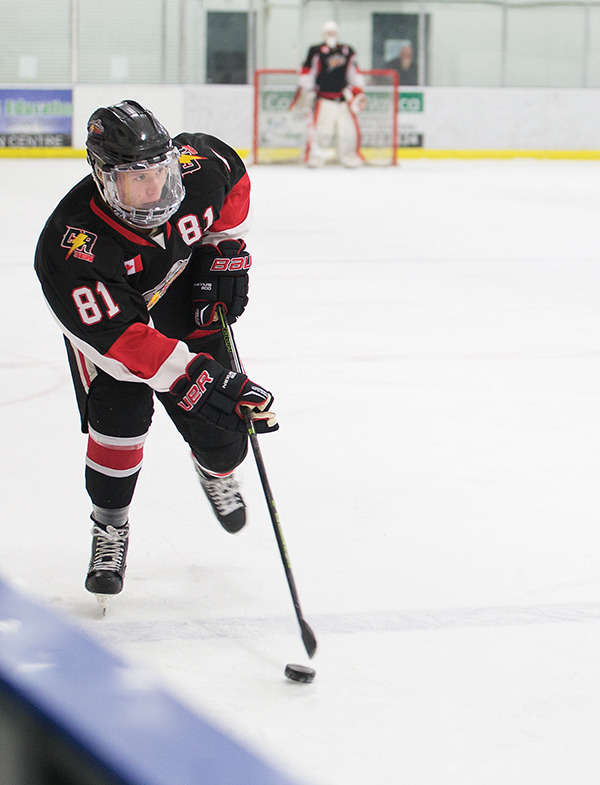 In two weeks the Storm have gone from the least penalized team in the VIJHL to the most. 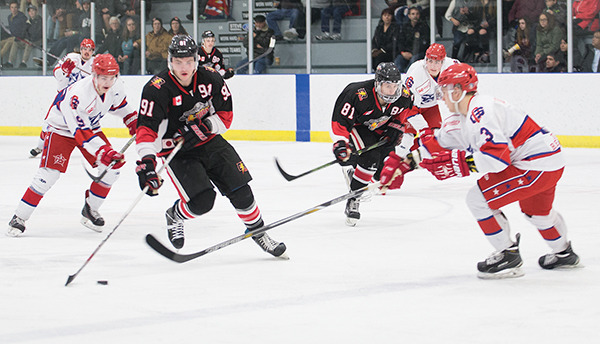 Campbell River still hold the best record in the VIJHL (23-6-0-0) as well as in the province. They are home to the surging Nanaimo Buccaneers Friday night at Rod Brind’Amour Arena.